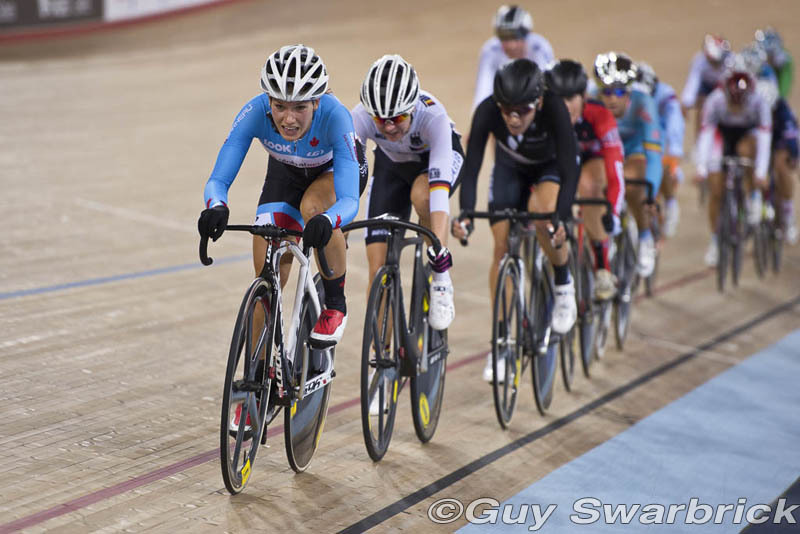 Canada's Jasmin Glaesser won the silver medal in the talent-stacked UCI C1 Women Points race that took place during the UCI Track World Cup in London. Glaesser was consistent throughout the race, earning 20 points for lapping the peloton and multiple points throughout the intermediate sprints. Glaesser was well positioned and excelled at managing her race, finishing with 33 points, just one shy of the winner, current World Champion Amy Cure of Australia. "I think this was actually one of the hardest Points races I have done; I knew that looking at the start list, which is similar to each World Cup and World Championships. I knew the talent level would be very high here, and I mentally prepared for that race as a result," said Glaesser, who won a bronze medal in London at the Olympic Games. "There were so many strong riders, and everyone was going for the sprints. To end up on top, you had to go for the lap." It was an exhausting weekend for Glasser, as she and her teammates raced three 4000 metre Team Pursuits on their way to winning the bronze medal on Friday night. "The Team Pursuit was 100% the goal coming here. We had an up and down day [after crashing in qualifying], and I am proud on how we finished off as a team. I took some confidence from yesterday for the points race." Glaesser was very excited to race once again on the 2012 Games track at the Lee Valley Velodrome. "I am super excited to be here two years after the Games. What I find more exciting is being here with four new riders for the Team Pursuit." 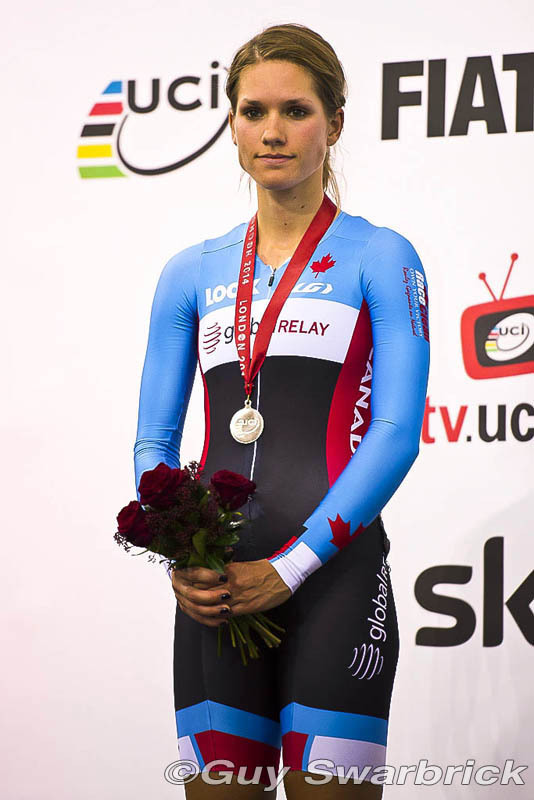 But more importantly for Glaesser, she is thrilled with the outlook of the Canadian Track Cycling Team and the progress it has made since the 2012 Olympic Games. "Regardless of our podium position, showing the depth in the Women Team Pursuit program along with having a men’s Team Pursuit, and both Team Sprints make me so proud to be part of this team. We are not just one or two riders; we are a country that is ready to leave a mark in track cycling."